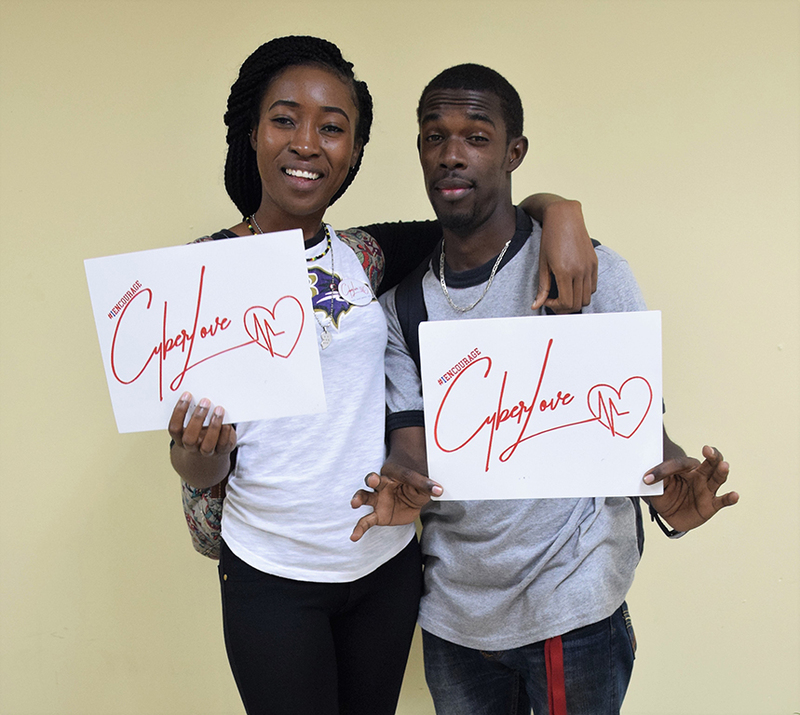 #iEncourage and #Cyberlove are just two of the hashtags that Cyber Love, Ja encouraged during its first forum discussion held at the Faculty of Liberal Studies on Thursday March 08, 2018. 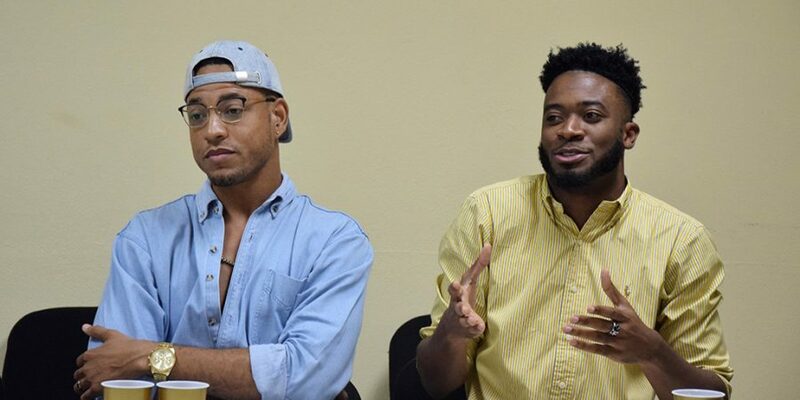 The movement founded by Jhennell Lewis a final year Bachelor’s in Communications, Arts and Technology student (BACAT) at The University of Technology, Jamaica, came about as a means to combat cyber bullying locally. The campaign which came to life as a final year media project has so far greatly surpassed expectations according to Ms Lewis. 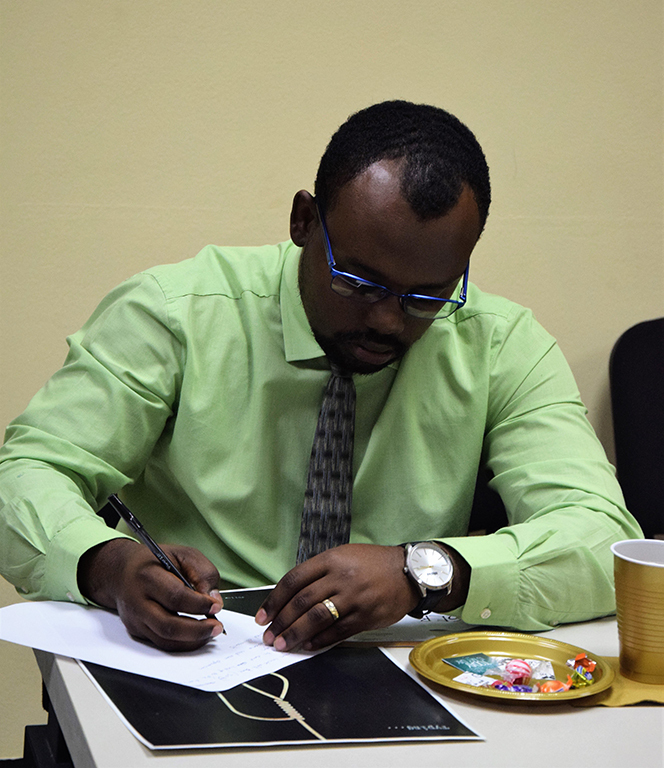 Through contacts with host of TVJ’s DayTime Live Joel Nomdarkham, Jhenelle was able to invite social media star Rohan Perry better known ‘QuitePerry’ as a guest speaker to the forum. 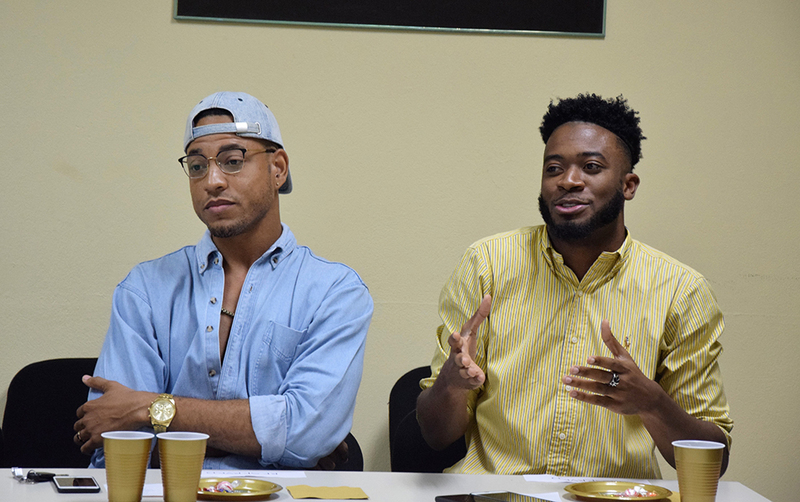 In a relaxed and fun atmosphere, both men shared their personal experiences with cyberbullying and offered encouraging words. Joel in his presentation stated that movements like Cyber Love, Ja are important since social media feeds negativity, one can easily become an echo instead of a voice. QuitePerry kept the audience on the edge of their seats with stories and jokes but also stated that cyberbullies tend to project their insecurities onto others. He therefore encouraged that the best way to respond to bullies is with positive affirmations instead of negativity. Jhenelle told UJS that after being a victim of cyberbullying in high school, she became withdrawn which resulted with her becoming antisocial and depressed; so the Cyberlove, Ja campaign is very personal to her. “I wish I had something like this in high school,” she said. “I wish someone told me that I was good enough no matter what anyone said.” Her dream came to life through the exceptional feedback and encouragement she has gotten, especially on a visit to her alma mater, Glenmuir High School, has encouraged her to continue the movement. She hopes to attach the initiative to QuitePerry’s “Social Media Responsibility School Tour” because she sees a need to continue the cause. 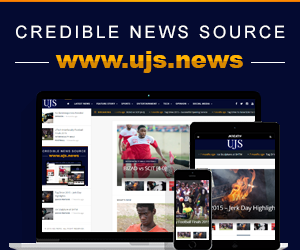 RESEARCH DAY; a showcase of the University of Technology, Jamaica.